Boyds, Md. (Feb. 13, 2019) – Jordan DiBiasi, the No. 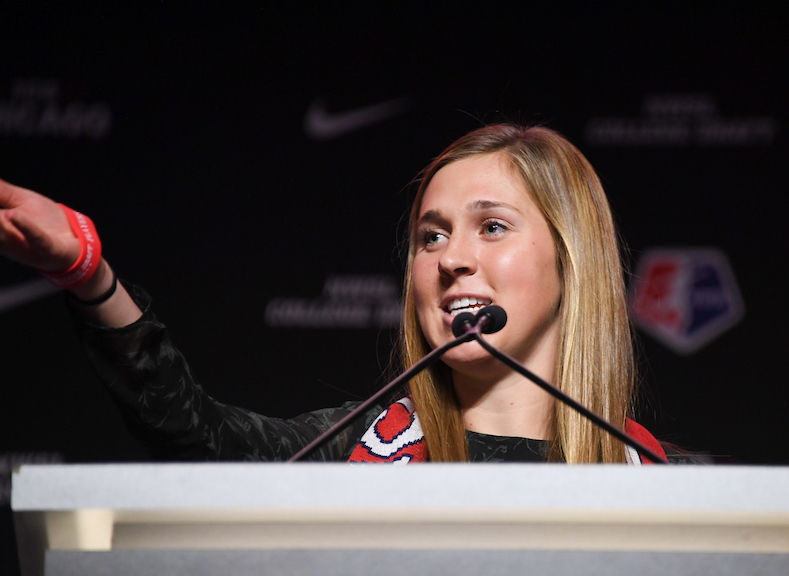 3 overall pick in the 2019 NWSL College Draft, will be joining former Stanford teammates Tegan McGrady and Andi Sullivan as a member of the Washington Spirit this season. McGrady was selected just four picks after DiBiasi at No. 7 overall in the 2019 NWSL Draft, while Sullivan was the No. 1 overall pick in the 2018 NWSL Draft. The three former Cardinal players look to pose a similar triple-threat on the field that helped lead Stanford to the 2017 NCAA National Championship. “It’s just such a small world and I just don’t think it’s a coincidence. It’s just cool to see it all come full circle and I’m so excited for Teagan, I’ve watched her grow these past four plus years and to see her get all this success,” said DiBiasi. DiBiasi and Pugh grew up in Highlands Ranch, Colorado, where they both found simultaneous success competing against one another, becoming NSCAA Youth All-Americans and winning titles for their respective adolescent clubs in the Elite Clubs National League. “It’s been crazy. I think just after the college season looking back to this entire journey and seeing this next chapter that I have always dreamed about kind of coming to real life is just insane and to be chosen third overall by the Washington Spirit, I just can’t speak higher of it and I’m so excited for this opportunity,” said DiBiasi.